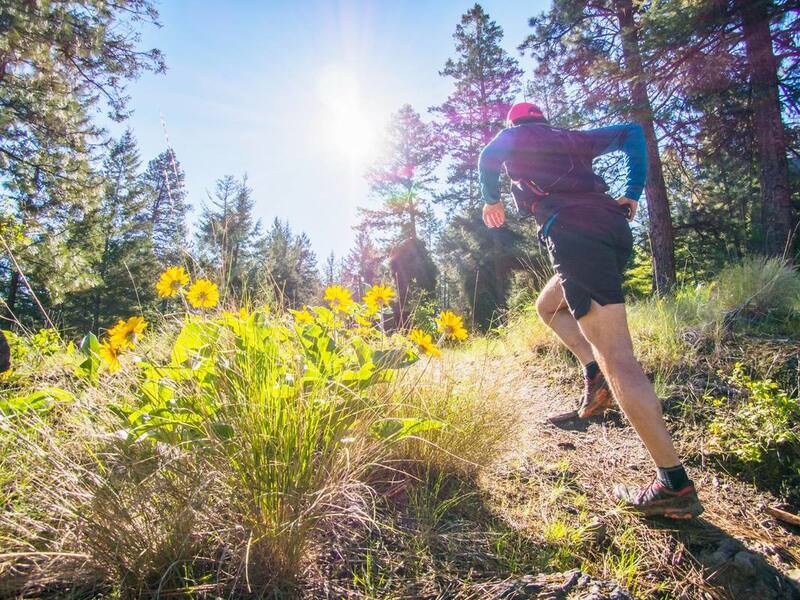 PACE offers a professional trail running clinic series from January to December with 4 clinics to choose from and participants have the choice to register between 3 different groups. Within each of these groups, we offer different paced training groups. Spring Clinic: April 3rd to June 23rd. Wednesdays (6pm) & Sundays 7am & some 6am. Summer Clinic: June 26th to September 11th. Wednesdays (6pm) ONLY. No weekend runs. Over the course of the clinic we will help build your long run upwards of 2hrs. - those who are new to trail running, but not new to running. - It also attracts those who are time crunched and don't really have more than 90min to run on the weekends. - This is a great option for anyone racing 10-15km on trails or half marathons on road. Over the course of the clinic, we will help build your long run upwards of 3-3.5hrs. 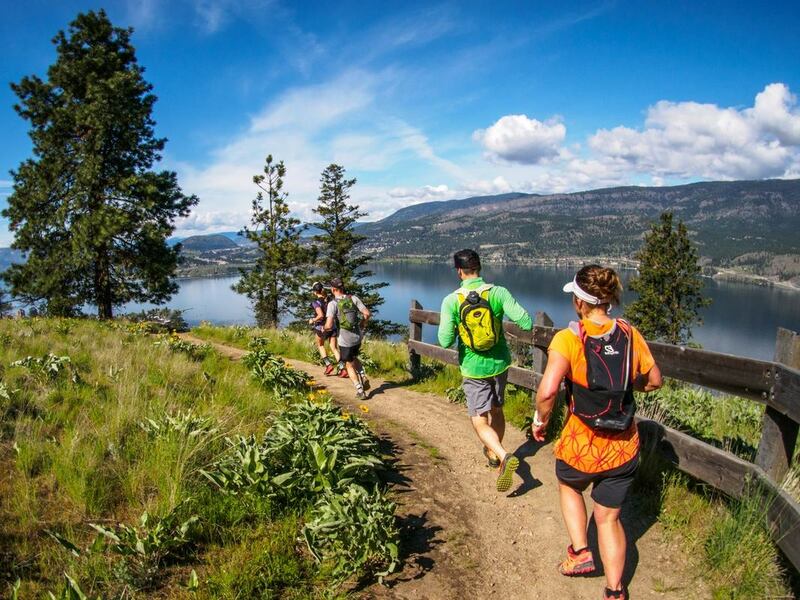 - participants preparing for a 20-30km trail race distance or half & full roach marathons. - anyone who is coming from the 15k group and wanting to increase their endurance to 25km. 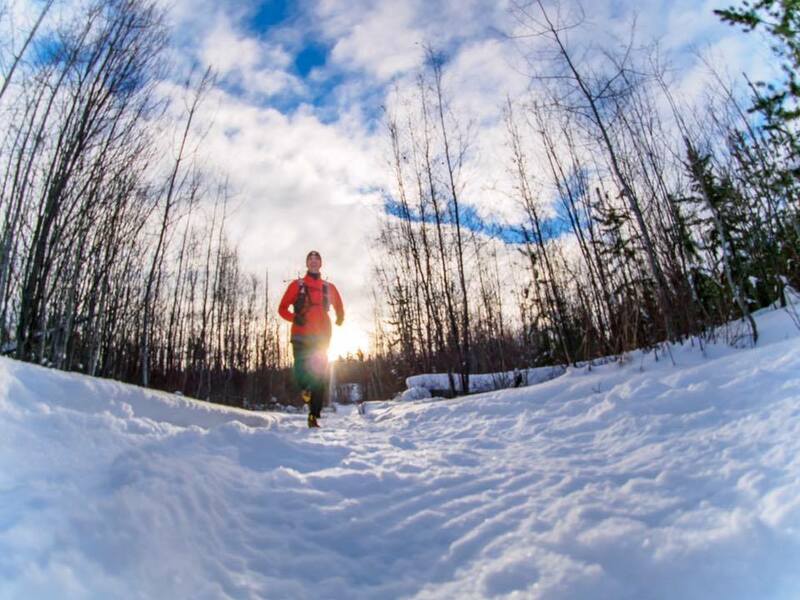 - anyone considering running their first ultra and wants to use this clinic as a base builder for the 50km training group..
Over the course of the clinic, we will help build your long run upwards of 5-6hrs. - those training for 30k to 100miles, stage races. - road marathon runners who want to build more strength or take a break from the pounding on pavement. - Veteran ultra runners who know it's so much nicer to share the company of like minded folks while out training for hours on end. - anyone coming from the 25k group and wanting to increase their endurance to 50km. 2. choose a full refund within the first 2 weeks of the clinic. 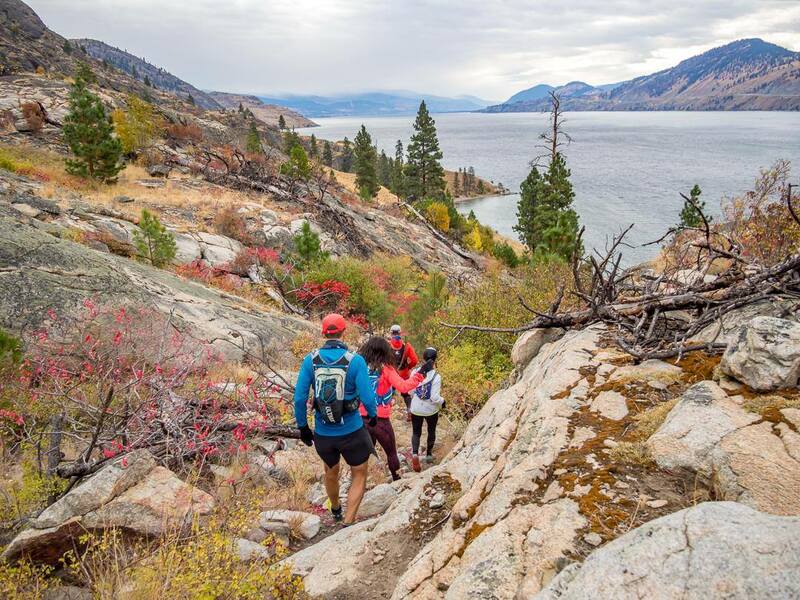 Wednesday sessions focus on different trail locations all over Kelowna & West Kelowna. These workouts provide a variety of running sessions to help move athletes fitness and goals forward. Coached by professional running coach, Rene Unser likes to think outside the box and she finds creative, fun and challenging ways to train and motivate her athletes. Workouts include formats such as; hill training, stamina sessions, tempo workouts ,time trials, vertical challenges and more. Weekend sessions are 90% off-road and endurance based. Participants are split into appropriate groups (based on their fitness levels) and paired with 1-2 experienced P.A.C.E. leaders for their long run. Our clinics are limited to 50 participants per clinic, therefore we don't prorate our fees for any missed sessions. Our clinics provide much more value outside the run sessions, such as professional coaching, leadership support, weekly training tips, social events and more. Our refund policy is as follows: 50% refund if participation ceases due to a medical condition and if less than 50% of the participation was complete. No refunds if more than 50% of participation was reached. PLEASE NOTE: clinic fees are non-transferable from clinic to clinic. As mentioned, we have limited spots in each clinic. If you register for a clinic and cancel your registration before the clinic begins, you will be charged a $25 administration fee. Thank you for your cooperation. This clinic is a great way to kick off your new year goals, stay motivated and head into the spring running stronger than ever before. This clinic will awaken you from your winter slumber and progressively build your intensity and endurance over 12 weeks. January 9th to March 31st. Keep your training focus over the busy summer months. Group training alternates speed & endurance sessions on Wednesdays only. Participants receive a 15k, 25k & 50k training plan to follow. Maintain the fitness you have build all year with two maintenance specific workouts. Our training programs are offered in clinic formats that are 12 weeks in duration and the training program is broken up into specific training groups and periodized and each clinic has limited spots, therefore, we do not allow drop in's. Thank you for you cooperation and interest. If you have any questions, please email us.